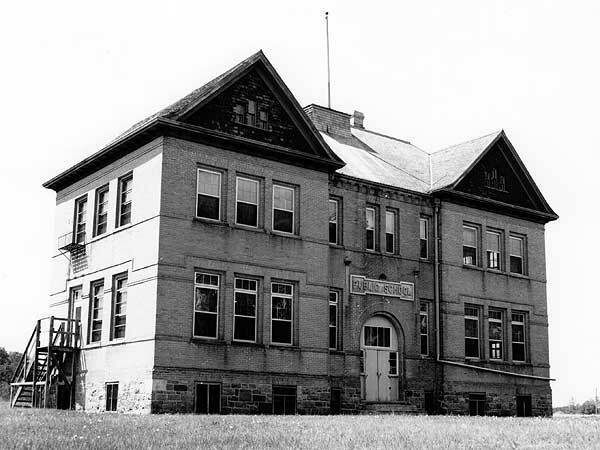 Designed by Brandon architect W. A. Elliott and built in 1902, the Rapid City School in Rapid City replaced an earlier school established in 1881. 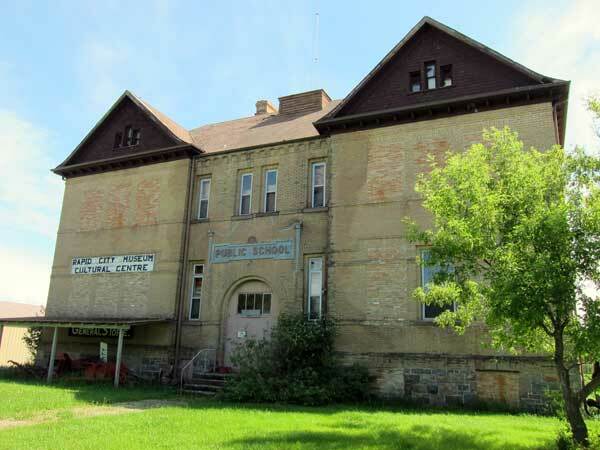 It became Rapid City Consolidated School No. 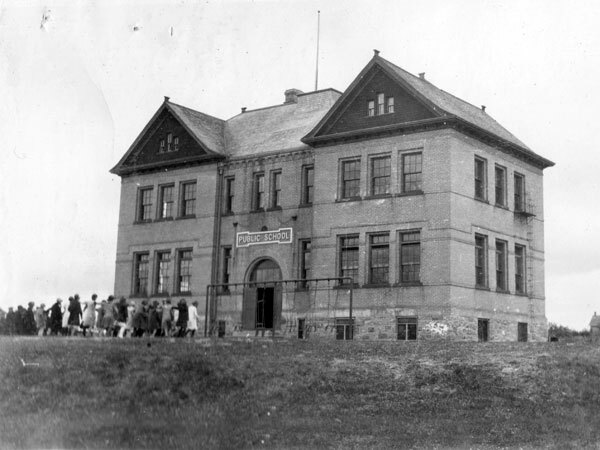 2392 in January 1961, combining Rapid City School with several rural schools, including Little Saskatchewan School No. 134, Wallace School No. 405, McBride School No. 558, Centreview School No. 858, and Oakleigh Union School No. 914. In 1968, it joined Rolling River School Division. After the school closed, it was used as a local museum and cultural centre until around 2004. It became a municipally-designated historic site in 2014. 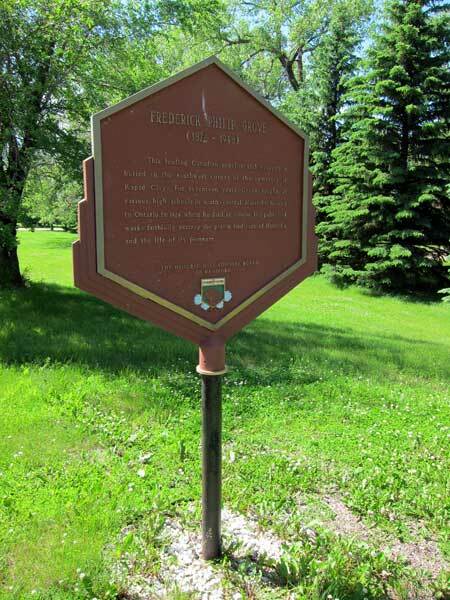 A plaque erected on the school grounds by the Historic Sites Advisory Board of Manitoba commemorates Frederick Philip Grove, who taught at various schools in south-central Manitoba before moving to Ontario in 1929. He is buried in the southwest corner of the Rapid City Cemetery. Among the other teachers of Rapid City School was Effie Weir (early 1920s). Source: Archives of Manitoba, Architectural Survey - Rapid City 3. Source: Archives of Manitoba, George Harris Fonds, Acc. 1979-141, P7454, Album 21, Page 41. “Education,” Manitoba Free Press, 17 March 1884, page 4. “Grade XII instituted,” Rapid City Reporter, 30 August 1951, page 5. “Teaching staff changes,” Rapid City Reporter, 3 July 1952, page 1. “Rapid City school board requires two teachers,” Rapid City Reporter, 28 April 1966, page 1. Rapid City and District - Our Past for the Future, Rapid City Historical Book Society, 1978. 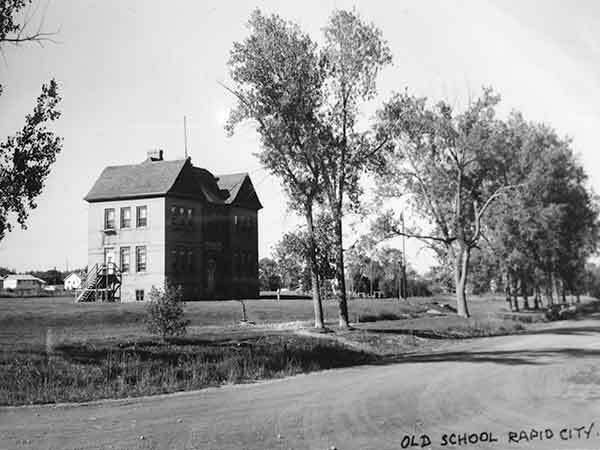 Manitoba School Records Collection, Rapid City School No. 124 Daily Registers, GR2088, Archives of Manitoba.